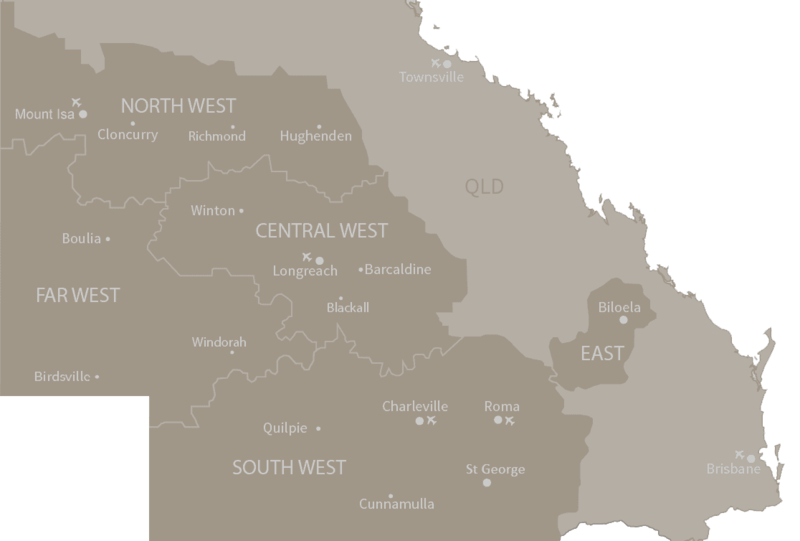 Point the car west and travel along the Warrego Highway to Queensland’s Garden City, Toowoomba. 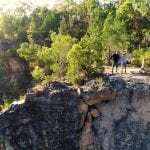 You can stop for morning tea at Picnic Point, best known for its expansive views across the Great Dividing Range, and its themed Magical Witches Forest playground is sure to be a hit with the kids. If time permits, call into the Cobb & Co Museum, before following the tracks of these original people movers to Chinchilla, the Melon Capital of Queensland. Relax on the banks of Charley’s Creek with a picnic lunch. Next stop is Roma, home of the ‘Big Rig’ and the gateway to cattle country. Check-in to your accommodation and get ready for the Big Rig Night Show – a sound and light show spectacular, telling the story of Australia’s oil and gas exploration. Today is a day of explorer and bushranger stories as we drive the short distance to Mitchell. The town is named after Sir Thomas Mitchell, explorer and Surveyor General of New South Wales, who explored the area in 1846. See the original courthouse where local bushrangers, the Kenniff Brothers were committed to stand trial then head to Arrest Creek, where they were captured. Cool off with a refreshing swim in the natural artesian water at Mitchell’s Aquatic Centre. Grab a casual lunch at the pool, before travelling the short distance to Bonus Downs Farm Stay. At Bonus Downs, spend time with your hosts, take a tour of their beautiful station and meet the cattle. Take part in a range of seasonal activities; learn how to crack a whip, check the bore pumps and watch working dogs in action. Cool off in their large dam, paddle a canoe and spot spectacular birdlife in this lovely tranquil setting. Enjoy a spit roast Sundowner Dinner on the waters edge tonight, and watch a spectacular Outback sunset. This morning, join in on some more station activities and share a traditional ‘smoko’ with your hosts, before setting off once again to Morven and Tregole National Park. Stop for a bush picnic or barbeque lunch at Tregole National Park, formerly a grazing property. The Park is famous for its Ooline forest, an attractive dry rainforest dating back to the Ice Ages. Drive the short distance to Charleville to join the Up Close and Personal Bilby Experience. Meet this delightful marsupial, also one of Australia’s most endangered species. Have a chat with the dedicated volunteers who will share their knowledge and passion for the Bilby preservation. Tonight, an experienced guide will take you on a tour of the Outback Night Sky through powerful Meade Telescopes. See star clusters, planets, nebulae and learn about the Milky Way. Today, you’ll visit one of the smallest towns in Australia to retain its own postcode. Cooladdi, taking its name from an Aboriginal term for “black duck”, was once a home to 270 residents. Now only four remain. Call in to the only business in town, the Fox Trap, a pub, post office, restaurant, motel and service station rolled into one! On arrival in Quilpie, make your first stop the Visitor Information Centre, Museum and Gallery. Relax in air-conditioned comfort and access the free WI-FI. Quilpie is home to the exquisite Boulder Opal. The whole family can have a go at uncovering this pretty gemstone at a free fossicking site just two kilometres west of Quilpie. This morning, take the fully sealed Cooper Developmental Road to Eromanga, the furthest town from the ocean in Australia. Eromanga is home to the internationally recognised Eromanga Natural History Museum where you can meet Australia’s largest dinosaurs including ‘Cooper’ and ‘George’, who are in the top 10 largest dinosaurs in the world. The one hour guided tour is a hands-on tour through the museum workshop, dinosaur and megafauna laboratories and collection room. The museum is 3 kilometres outside of Eromanga off the sealed Mt. Margaret Road. 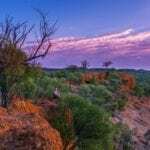 It is easy to spend a day or more in and around Eromanga, visit the Living History Centre next to one of Australia’s iconic outback pubs, the Eromanga Royal Hotel est. 1885, Knoto-a-saurus and Opalopolis Park and enjoy a picnic near sand dunes or on the famous Kyabra waterhole. Take the Cooper Developmental Road and begin your journey towards Thargomindah. Make a stop at Noccundra and visit the iconic Noccundra Hotel which was established in 1882. Across from the pub, the Noccundra Water Hole on the Wilson River is a great fishing spot. Noccundra is a popular stopover for visitors driving to the Burke and Wills Dig Tree and Cameron Corner. 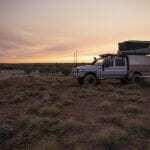 Head east from Thargomindah and take the short drive to Lake Bindegolly National Park which is a wildlife refuge featuring salt and freshwater wetlands. The park is home to more than 195 species of birds, 80 other kinds of animals and 300 species of plants. Travel through sheep and cattle grazing land to Eulo well known for its local honey and bees wax products. For something different, try a traditional mud bath at the Artesian Mud Springs (there are activities for children). 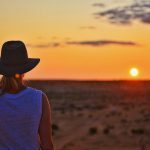 Arrive in Cunnamulla early afternoon with time to relax before heading out to the natural sand hills for some exciting sandboarding thrills and spills. Alternatively, you can hire a kayak for a relaxing paddle on the Warrego River. As you travel east along the Adventure Way towards St George, call into the tiny town of Bollon. Take a stroll along the 1.2km creek-side walkway and keep an eye out for koalas, echidnas and emus. Drive the short distance to St George, then pack your picnic lunch and follow the Cotton Self Drive Trail to learn more about the local cotton industry. Late afternoon, board the Sandytown River Cruise and enjoy sunset on the Balonne River. Homeward bound, make a morning tea stop at Moonie on the intersection of the Leichhardt and Moonie Highways. At Moonie Crossroads you’ll see brilliant murals depicting the history of the town and a giant cod caught in local waters. Visit the Woolshed at Jondaryan, the oldest and largest operating Woolshed in the world. Take a self-guided tour of the historic museum village and enjoy a casual lunch in the Damper Hut. Follow the Warrego Highway, via Toowoomba, returning to Brisbane late afternoon.